I am kind of a guy who is more inclined toward foldable knifes. I was going for a RTAK II or RAT 7, but after seeing the posted youtube video, I changed my mind and bought this one. It is relatively big, tough and razor sharp, but I do not know how will it will keep the edge that sharp. I generally do not put my knifes into extreme uses, however as the manufacturer states the particular one will stand up to the challenge. 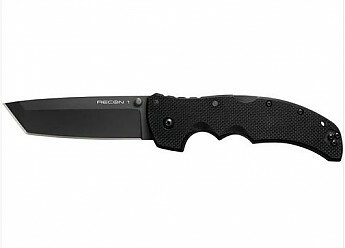 Locking mechanism, although similar to Buck lockback, looks and feels more secure. 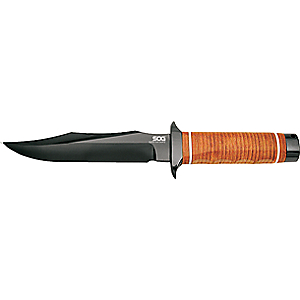 I do not know about the functionality or superiority of tanto blade over clip point or drop point blades, but it is awesome. 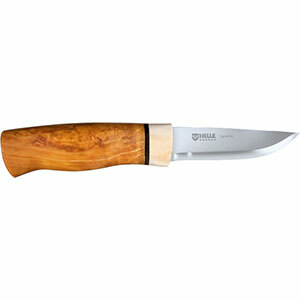 The finger groves on the handle give the user a very fine grip. It's rather large to carry on one's belt. 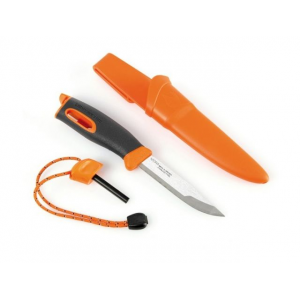 As far as I can tell it is more designed like a field knife which can better be carried inside a rucksack. 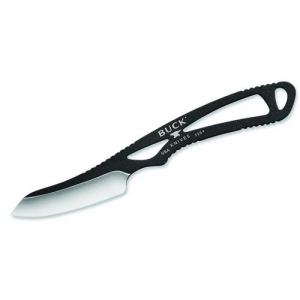 I do not think it can be used for splitting a chopped log although the overall structuring look tough, the blade thickness is not that much, 4 mm. I liked it and strongly recommend. 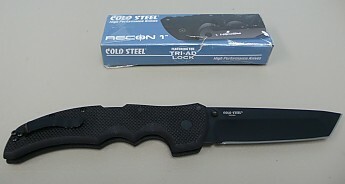 The Cold Steel Recon 1 Tanto Point 50/50 is not available from the stores we monitor. It was last seen February 16, 2012	at Ramsey Outdoor.